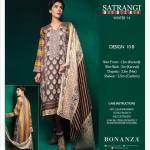 Satrangi by Bonanza the preferable fashion label for all age woman and girls now going to introduce its latest invention for winter wear clothing line. 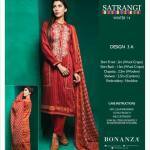 The brand introducing new winter wear dresses, titled Satrangi Winter Fabric & Shawl Collection 2014. The collection is specifically designed for fashionable women and girls who wants to look attractive this autumn winter season, taking care in very deep all the aspects of quality assurance, embellishments and unique designs. 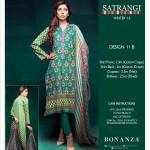 Bonanza Satrangi Winter Collection 2014-2015 for women included finest quality women wear dresses with the combination of shawls which are the signals of cool winter season and stay you hot and comfortable in the breezy winter season. 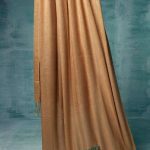 Now you can fully enjoy the parties and happy occasions of winter season by wearing Bonanza Satrangi winter shawl dresses. 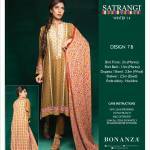 Satrangi is the emerging fashion label by Pakistan’s leading textile manufacturer and exporter Bonanza Garments. The brand are dealing every gender clothing line for every season, for last several years. Always brings some of the best range for women wear, kids wear and men’s wear collection. The brand proudly deals in women wear, men wear and childrens wear seasonal dresses range, men casual jackets, pure leather jackets, finest quality sweaters, shalwar kameez and kurta shalwar collection for every season and every occasions. 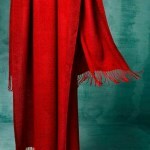 They have stores all over the Pakistan, as well as Internationally available in leading stores. 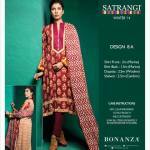 You can check below here complete Satrangi by Bonanza new fabric and shawls collection 2014 2015 for girls and women. Here we are listing complete designs pictures with price range for your ready reference which will help you to shortlist your desired dress. 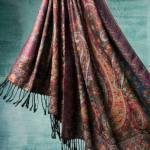 Each design picture includes the complete dress and fabric detail, as well as prices and fabric care instructions for your ease and reference. Let’s have a look on complete collection.